He became aware of this problem from insurers doing risk surveys and is leading an international seminar this month to highlight the issues and work on solutions. Some risk surveys were uncovering non-compliant passive fire construction work, such as unprotected penetrations through fire rated walls, and floors, missing smoke dampers in heating and ventilation systems, and fire and smoke control doors that did not seal correctly because they were incorrectly specified. My discussions with various experts in the fire protection industry and with Building Consent authority managers confirmed that New Zealand has a potential systemic passive fire non-compliance problem. This is worrying as so many people live and work in high rise and multi-unit buildings these days. Smoke is a silent killer. Passive fire protection is about preventing or slowing the spread of fire and smoke from one tenancy or fire cell to another and gives the occupants of a building time to safely evacuate. Correctly designed, coordinated, installed and signed-off passive fire systems are paramount to protecting life and reducing economic loss as well as providing trust and confidence in the construction industry. Unfortunately, we have struggled to achieve compliant passive fire protection in many of our new building projects and to then maintain that compliance in existing buildings due to the many refurbishments that occur over the life cycle of the building. Things do go wrong: a kitchen fire in a newly opened luxury hotel in Wellington in 2016 required the evacuation of all hotel guests and the hotel was closed for repairs for at least seven months. The damage was mainly caused by smoke affecting a significant part of the hotel. This sort of thing should not happen. A smoke control system did not operate as it was required, resulting in needless economic loss and reputational damage to those involved in the hotel’s passive fire protection systems. What can be done to improve passive fire compliance? The Insurance Council is engaging with the construction industry to find some answers. Some have said that passive fire protection should be subject to a specific licence class. Currently, anyone can do work that affects passive fire systems, including builders, plumbers, electricians and data cable installers but they do not get specific training on it. Some have also said that stricter construction monitoring is required. That is where someone is paid to watch what work is done like the old Clerk of Works. However, this will take time and may cost the construction industry money when budgets are already running away on some projects. The seminar will debate these views and work through to some consensus with the audience. Auckland City has plans for several tall buildings that are over 50 floors and require special fire protection features. It is very important that we get this right. One keynote speaker at the Auckland seminar on 24 August is Jim Filer from IAG Melbourne who will outline IAG’s position on buildings that fail to meet passive fire protection requirements. Another keynote is Gary Strong from the UK Royal Institute of Chartered Building Surveyors. 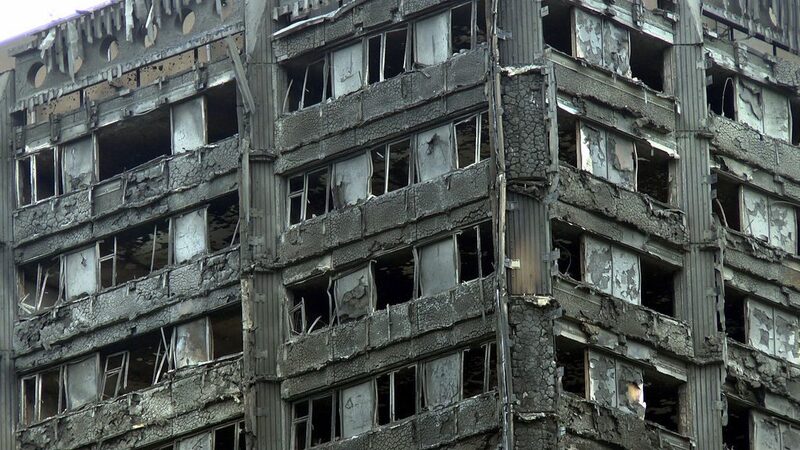 Gary has spent most of his career as a building surveyor investigating fires and was a consultant to the investigation to the 2017 Grenfell Tower fire. The Insurance Council has partnered with Auckland Council and the Association of Building Compliance (ABC) to bring this one-of-a-kind seminar to New Zealand to explore how we can all improve fire protection compliance. We hope that this seminar will be a catalyst for some change in the way we manage passive fire in buildings.